A mortgage is a loan from a bank or lender, in which the bank gives you the amount needed to purchase your home, and in exchange, you agree to pay the loan back over a specified amount of time plus an agreed interest rate. A Fixed-Rate Mortgage will have the same interest rate and monthly payment over the life of the mortgage. An Adjustable Rate Mortgage also called an ARM will have a low initial interest rate for a set number of years, usually five but does vary and then after five years, will reset every year (again varies on the ARM), generally to a higher rate. The low initial rate is called a "teaser-rate" since consumers are drawn to the low-interest rate and sometimes do not understand the rate will adjust at a later date. Don't fall victim to "payment shock," which is when you lose track of time, and your mortgage rate adjusts to a much higher rate, and you're literally shocked by the increased payment. A Fixed-Rate Mortgage is a conservative mortgage due to the stability it brings to consumers. Adjustable-Rate Mortgages while riskier can be an excellent option for first time home buyers, who do not plan on being in their home for more than five or ten years. But what if there was a way to afford a more expensive house and pay significantly less than if you went the fixed or adjustable route. 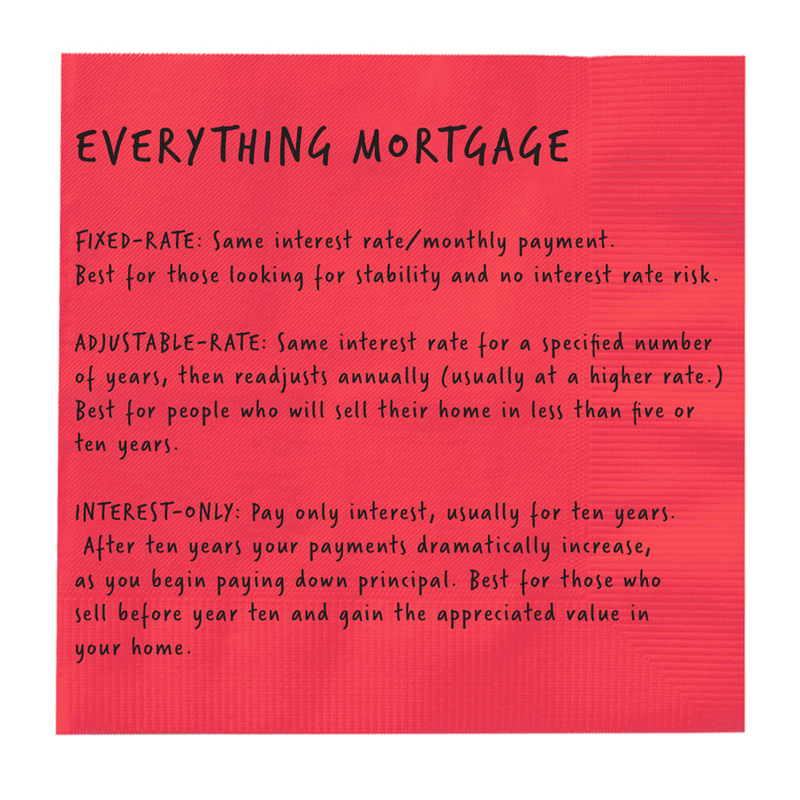 There is a product called an Interest-Only Mortgage.